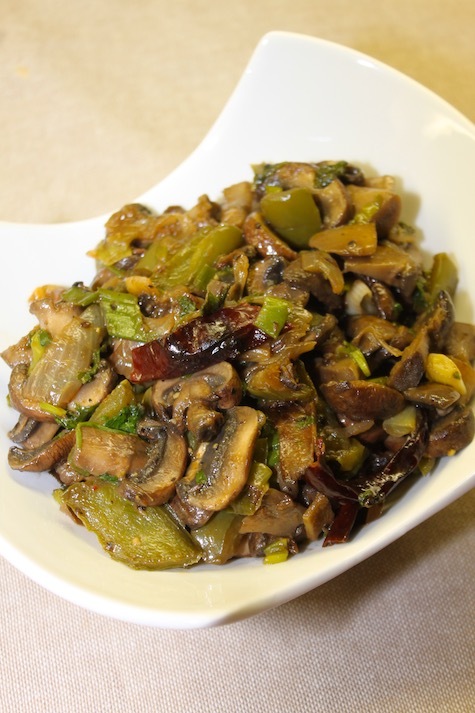 This is an Indo-Chinese vegetarian dish; mushrooms are seasoned with soy sauce and chili sauce and stir fried. This can be served along with rice, noodles or roti. Place a saucepan over medium heat. Add oil. Add cumin seeds and bay leaves, sauté for 2 seconds till aromatic. Add sliced garlic and ginger; saute till they turn light golden in color. Add dried red chilies, saute for 2 seconds. Add sliced onion, season with ¼ tsp salt and saute for a few minutes. 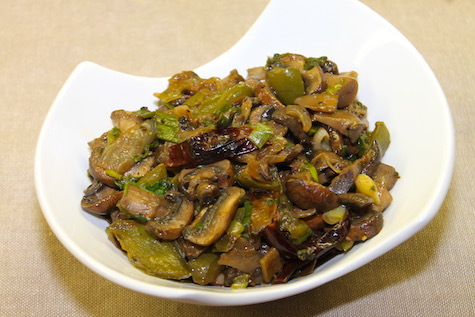 Add green pepper and mushrooms; combine well. Add ¼ cup water and cook till mushroom turn soft. Add ground black pepper, soy sauce and chili sauce. Stir fry over high heat for a few minutes till dry and slightly browned. 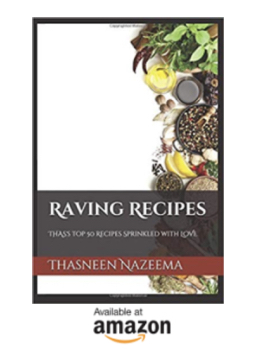 Serve along with rice, noodles, roti etc.